Of any Chicago Bears position group that’s getting all the attention this offseason, one could just cover their eyes and point at somewhere on the offensive side of the ball and they wouldn’t be wrong. Mitch Trubisky is now the focal point of their future and is backed up by respected veteran Chase Daniel. The offensive line got a young new addition in James Daniels. The receiving corps was overhauled from top to bottom. Allen Robinson, Taylor Gabriel, and Anthony Miller make up a completely different trio than what the Bears had last year. They’re joined by the ascending tandem of Jordan Howard and Tarik Cohen at running back. It’s little wonder people have been so focused on that side of the ball, but the defense got some notable help too. First round pick Roquan Smith became the first inside linebacker picked by Chicago in the top 10 since Brian Urlacher way back in 2000. He’s expected to become the center of this defense moving forward. Amidst all of this though, are people overlooking a key portion of the roster that could decide their fate in 2018? Danny Kelly of The Ringer pinpointed the position groups across the NFL deemed the most underrated. Groups that were and will be crucial to their teams’ success. 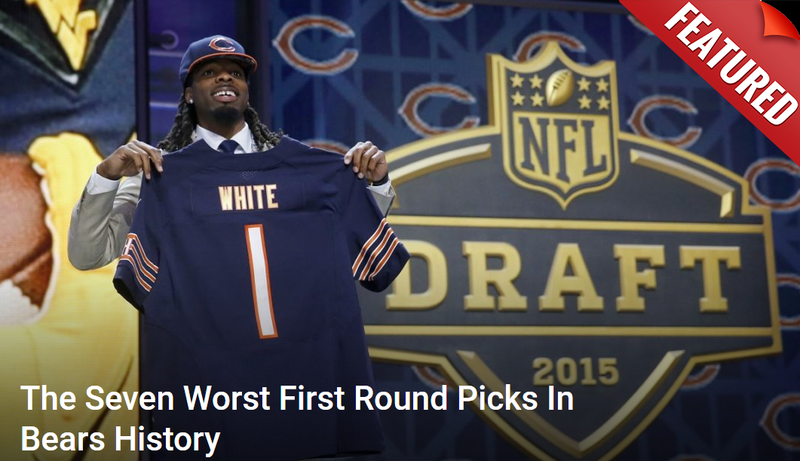 First on the list is none other than the Bears secondary. He explained what makes this unit so good and yet so overlooked. “After slapping him with a transition tag, the Bears signed breakout star Kyle Fuller to a four-year, $56 million extension; he’s expected to remain the team’s shutdown corner after breaking up 22 passes (third in the NFL) and picking off two balls while allowing an opposing passer rating of just 69.0 (14th) in 2017, per PFF. The Bears had the seventh-ranked pass defense in 2017. Much of that was thanks to the efforts of that young secondary. Fuller played like a Pro Bowler. The tandem of Jackson and Amos may finally be a pairing the team can lean on long-term. One also must not overlook Bryce Callahan. When healthy he was quite effective as their nickel corner in the slot. Together they were able to shut down some good offenses last year. The question becomes whether that was a one-time deal or if their continued experience together could lead to bigger things. The Bears coaches no doubt hope it’s the latter. Perhaps playing with more leads courtesy of the offense might enable them to get their hands on more footballs. Either way, it’s not a secondary to be taken lightly.